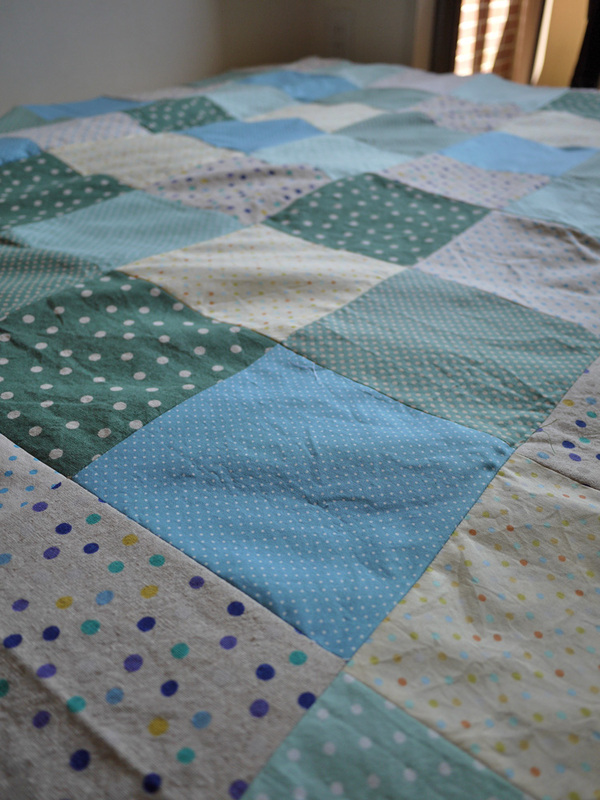 I spent a rainy afternoon piecing together a picnic quilt. Again, I’m a bit embarrassed to admit I had so many blue polk dots stashed away in my fabric closet — I had no idea I had such a polk dot problem. On the other hand, it was fun to simply decide to make something, have the materials at-the-ready, and sew it up in just a few hours. One rainy afternoon later, and the top is pieced and ready for quilting. Huzzah! This quilt is too late for hanami season, but just in time for my summer English craft class series, 英語でCRAFT: The English Craft Club. More details on that coming very, very soon! This entry was posted in Crafts and tagged DIY, quilt, summer picnic, works in progress. Bookmark the permalink.